There is often a lot of discussion on social media on replacing Luis Suarez at Barcelona. There are arguments that he doesn’t score enough or that he’s ageing. However, his numbers dispel any such claims. The Uruguayan scored 32 goals in 49 games across all competitions in 2018 which is the seventh highest tally in Europe’s Top 5 leagues and more than the number of goals scored by the likes of Neymar and Kylian Mbappe. He also has 24 assists to his name this year which is the second highest in Europe’s Top 5 leagues and only two fewer than Dimitri Payet’s tally of 26. 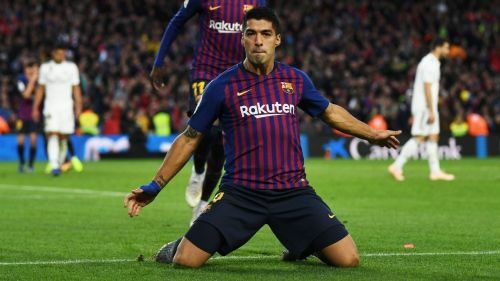 Suarez’s contributions helped Barcelona win the La Liga, Copa del Rey and Supercopa de España in 2018. He currently has eleven league goals to his name this season which is the second highest in Spain’s top tier behind only his teammate Leo Messi. Players with double figures in goals and assists from European top 5 leagues.